WELCOME TO SMART LIVING EMBRACED BY NATURE. OUR SINGLE-FAMILY HOMES AT DOBSON LANDING WILL FEATURE SMART LIVING WITH OPEN FLOOR PLANS, SUPERIOR ENERGY EFFICIENCY, HEALTHIER DESIGNS AND BETTER QUALITY CONSTRUCTION. SACRIFICE NOTHING — BEAUTIFUL HOMES BUILT BETTER IN A COMMUNITY LOCATED JUST 5 MINUTES DRIVE FROM DOWNTOWN MONCTON, NEW BRUNSWICK, NESTLED NEXT TO THE DOBSON TRAIL NATURE AREA IN RIVERVIEW. THE PINECREST MODEL AVAILABLE NOW AT 181 DICKEY BLVD. AVAILABLE NOW — THE PINECREST, 181 Dickey Blvd. 2705 Sq.Ft, 4 Bedrooms, 3.5 Bathrooms, 1.5 Car Garage. This bright and contemporary brand-new 4 bedroom home is ready for you to move in now. Located just five minutes from downtown Moncton, and backing onto beautiful Mill Creek, this NetZero Ready home is fully finished on three floors and showcases over 2700 square feet of modern features and the best finishes. BEAUTIFUL MODERN HIP ROOF DESIGN WITH A CONTEMPORARY FLAIR. 2538 Sq.Ft, 4 Bedrooms, 3.5 Bathrooms, 1.5 Car Garage. 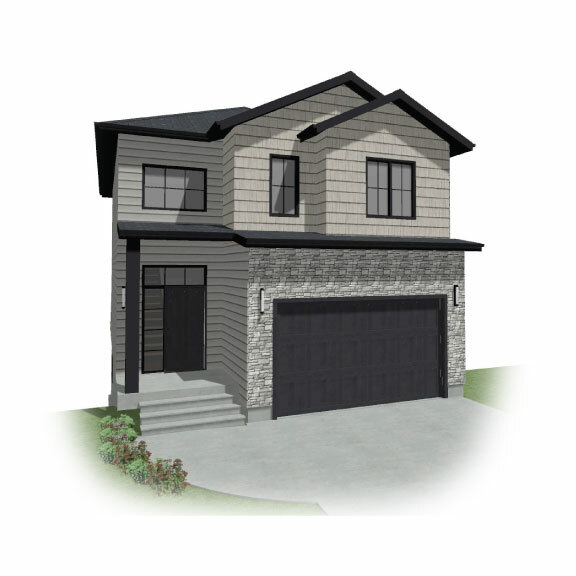 Starting at only $299,000, this ready-to-be-built NetZero Ready home has modern style, open concept living, super energy savings, the latest technology and nature in your backyard. The Willow is built to be outstanding in every way and when finished on three floors, offers a surprising 2500 square feet of space. TRADITIONAL GABLES AND SHINGLES ADD WARMTH TO A MODERN LOOK. 2558 Sq.Ft, 4 Bedrooms, 3.5 Bathrooms, 1.5 Car Garage. 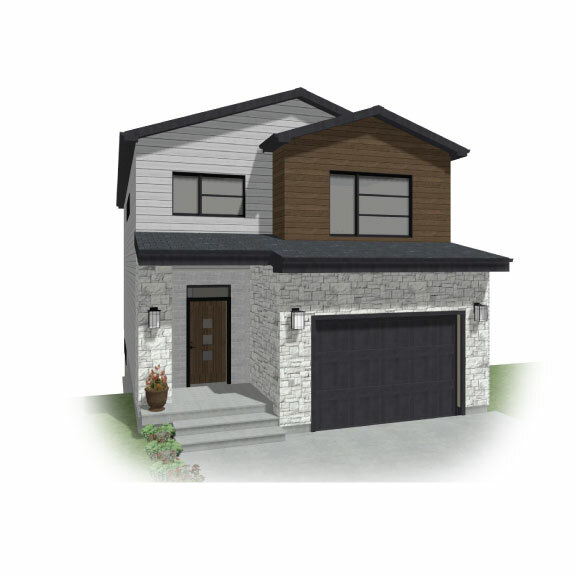 Starting at only $309,000, this ready-to-be-built NetZero Ready home has modern style, open concept living, super energy savings, the latest technology and nature in your backyard. The Willow is built to be outstanding in every way and when finished on three floors, offers a surprising 2500 square feet of space. FULL GABLE ROOFLINE GIVES A MODERN FARMHOUSE FEEL TO THIS STRIKING EXTERIOR. 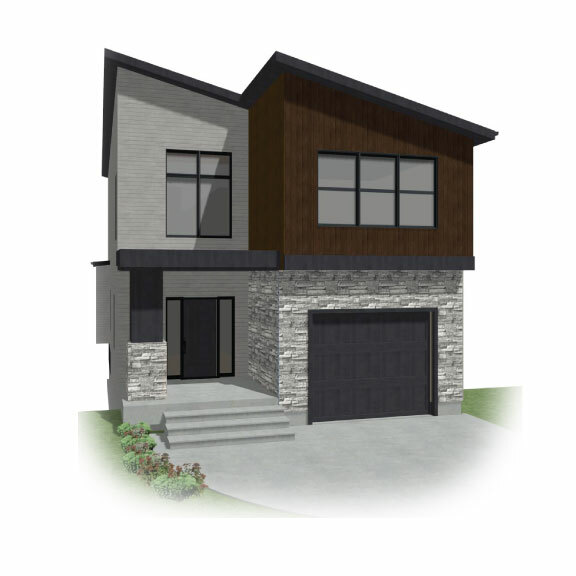 This ready-to-be-built NetZero Ready home has stone and premium siding, 9 foot ceilings and a wonderful open floor plan. The large great room is a dream living and entertaining space with a kitchen featuring a large island, quartz countertops and massive pantry. So much to offer at affordable pricing. Ask for the info sheet with the floor plans. 2990 Sq.Ft, 4 Bedrooms, 3.5 Bathrooms, 1 Car Garage. This ready-to-be-built NetZero Ready home has it all — two storey glass entry, 9 foot ceilings and a wonderful open floor plan. The large great room is a dream living and entertaining space with a wonderful kitchen featuring a large island, quartz countertops and massive pantry. So much to offer at affordable pricing. Ask for the info sheet with the floor plans.